John J. Bougie, age 83, of Freedom, passed away at St. Paul Home on Saturday, March 30, 2019, with his family by his side. John was born on January 2, 1936 son of the late Louis and Collette (Verhasselt) Bougie. He married the love of his life, Patricia Vandenberg, on April 17, 1958. John worked for the Kimberly Mill for 41 years before his retirement. He loved his garden and took pride in growing his own vegetables. 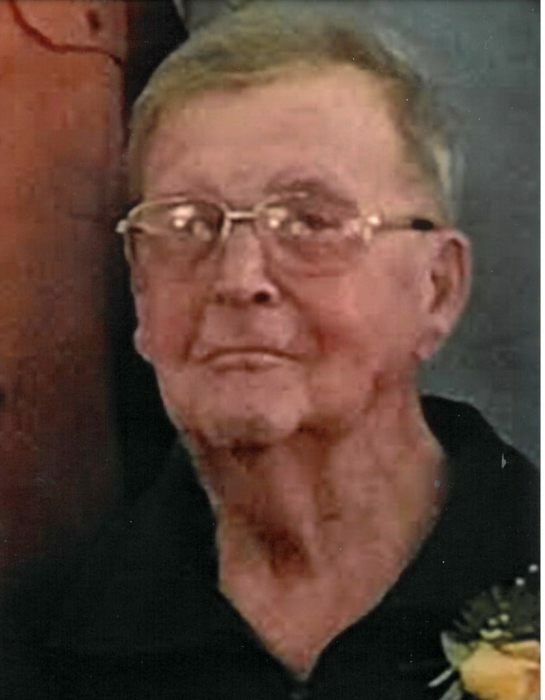 He enjoyed playing sheepshead with his family, watching his children and grandchildren in all their sporting events, taking his daily walks, going to bingo and taking casino trips with his wife. John was an avid Wisconsin sports fan and enjoyed watching them on his big screen t.v. John is survived by his wife Pat of 61 years, his children: Dale (Wendy) Bougie, Randy (Elena) Bougie, Jerry (Lisa) Bougie, Jean (Paul) Jansen, Brenda (Pete) Renkas, Joe (Darlene) Bougie, Barb (Tim) Carney, Larry (Jill) Bougie and Teri Jo Garner (special friend, Matt Salzmann). He is also survived by his grandchildren: Whitney and Cassie Bougie, Jason and Alex Bougie, Melissa and Anna Bougie, Nick (Katie) Jansen, Ben (Kristin) Jansen, Elizabeth and Marcus Renkas, Courtney and Lindsey Bougie, Dylan and Emily Greiner, Mitchell, Molly and Chelsea Carney, Bryce, Caleb and Joshua Bougie, Owen Garner and also his great-grandchildren: Aria, Robb and Clayton Jansen. John is further survived by his sisters, Karen (Ray) Brown and Donna (Edward) Geurts; a brother-in-law, Gene Vandenberg and 4 sisters-in-law, Joyce Bougie, Diane (Don) Krueger, Sue Pahl and Betty (Carl) Evers. He was preceded in death by 2 brothers, Louis and Marvin, 2 sisters, Nancy and Joy, and a grandson, Sidney. Funeral services will be held at 12:00 noon on Thursday, April 4, 2019 at Immaculate Conception Catholic Church, N5589 County Rd. E, DePere, WI., 54115 with Fr. John Katamba officiating. Visitation will be at the church from 10:00 a.m. until the time of services. Burial will follow in the parish cemetery. In lieu of flowers a memorial is being established. For online condolences, please visit: www.verkuilenfh.com. The family would like to give a special thank you to the entire staff at St. Paul Home, especially the rehab department and hospice. They would also like to thank Dr. Danz and his staff at the Kaukauna Clinic.